© Parameswaran Ponnudurai. All rights reserved. A Great Egret catches a fish, flips it in the air before swallowing it lengthwise at Huntley Meadows Wetlands in Virginia. 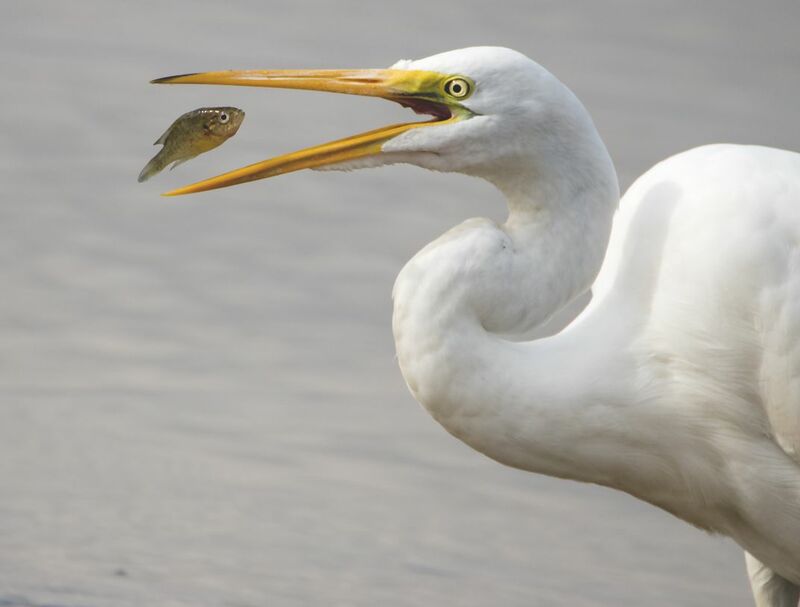 I’ve caught many images of egrets holding fishes in their bills but this is the first time the fish was caught in the air between the jaws of the bird. Date Uploaded: Oct. 28, 2018, 8:23 p.m.